Girma Moges goes up for the block during sand volleyball at the Williston Rec. Fields last Tuesday evening. 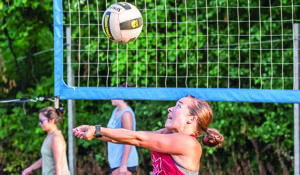 Kia Thrasher sets the ball during sand volleyball at the Williston Rec. Fields last Tuesday evening. 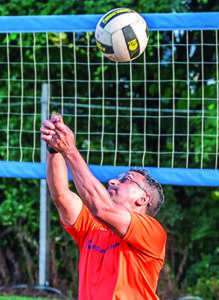 Yash Rohatg makes an overhead return during sand volleyball at the Williston Rec. Fields last Tuesday evening. 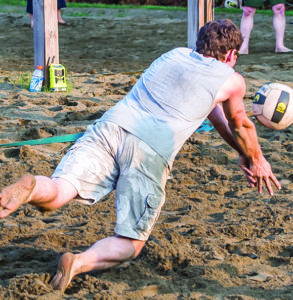 Dan Shearer makes a diving dig during sand volleyball at the Williston Rec. Fields last Tuesday evening.